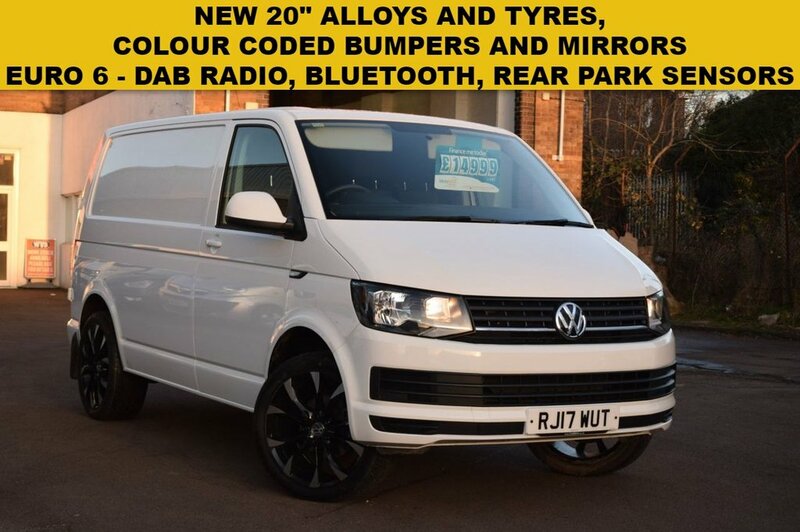 Latest Euro 6 engine in this 2017 Vw Transporter swb in white with just 15000 miles. A SET OF BRAND NEW 20" BLACK GLOSS WHEELS AND TYRES FITTED. COLOUR CODED BUMPERS AND DOOR MIRRORS.